Welcome to the March edition of the ARK newsletter, and hopefully spring will soon be in the air! In this edition, we highlight the ongoing consultation on the future of CAIN. We also show how ARK's survey data are used extensively in academic, policy and other publications, which are produced by ARK and others. CAIN (Conflict Archive on the INternet) is a vast archive of information and source materials on the Northern Ireland and politics in the region. This archive has been freely available on-line since March 1997, with new materials added on a regular basis. This is a unique academic and civic resource, with users all over the world. Resource-building work has become increasingly challenging to fund. Over the last few years the level of research grant income has not matched the cost of providing the service, and Ulster University has met the shortfall. Ulster University has initiated a 12-week consultation about the future of the CAIN, which runs until 2nd May 2019. Full details about the consultation, and how to contribute to it are available on the CAIN website. CAIN (Conflict Archive on the INternet) was launched 22 years ago, on 12 March 1997. The site includes a comprehensive archive of material relating to the conflict, and this is constantly updated. CAIN also hosts a series of associated sites, where contributors to CAIN gave significant amounts of materials or information and in return were offered their own space on CAIN. There are now 27 Associated Sites, including those focusing on photographs, murals, journal articles, databases of deaths, documents from think tanks, and much more. 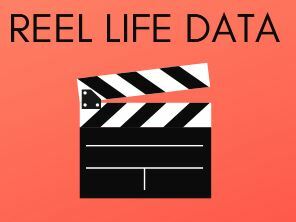 Our February newsletter gave details of the Reel Life Data project. The challenge is to make a short film (maximum of 3 minutes) which presents relevant statistics from the Life and Times survey on attitudes to different communities living in Northern Ireland. The film doesn't have to be a documentary - the more creative the better! In response to several requests, we have extended the timetable for the project. If you're up for this challenge, please send us a completed film outline form by Monday 8 April. You can find this form, as well as full details about the project on our website. A new Research Update explores the sense of belonging that people have to their neighbourhoods and to Northern Ireland, and their self-perceived influence on decision-making. Written by Paula Devine and Dirk Schubotz, A sense of belonging is based on data from the 2017 Northern Ireland Life and Times and Young Life and Times Surveys. This issue was previously explored in the 2013 surveys, and the findings are available in Belonging and Alienation in the new Northern Ireland, by Katy Hayward, Lizanne Dowds and Colin Shaw. The 2017 Northern Ireland Life and Times (NILT) survey included a set of questions on community safety and perceptions of paramilitary influence and activity. These were new questions funded by the Tackling Paramilitarism Programme Board within the Department of Justice. The report Perceptions of Paramilitarism in Northern Ireland has been published by the Department of Justice. This presents key findings from the NILT questions, and will act as a baseline for comparison with future surveys. The workshop 'The Abortion Pill, Women's Rights & Policy Reform in Northern Ireland' was held at Ulster University on 8 March 2019, organised by Goretti Horgan and Ann Marie Gray of the ARK Policy Unit. The event focused on key findings of an ESRC-funded study which explores public attitudes in Northern Ireland to abortion, and compares the experiences of women here who take abortion pills obtained via the internet with those of women in Scotland who take the same pills via the NHS. Speakers at the workshop included Professor Sally Sheldon (University of Kent) and Dr Fiona Bloomer (Ulster University). Goretti Horgan has published a new Research Update based on this research. The Genie is out of the Bottle: Self-managed abortions in Northern Ireland using pills (Research Update 127). ARK works hard to provide the best possible service and we welcome your feedback on this e-Newsletter. If you would like to comment on any aspect of our work, email or write to us at one of the addresses below. We look forward to hearing your views.